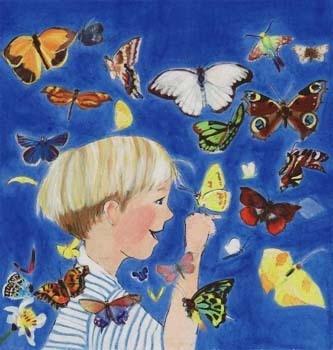 Polly Horner is both artist and storyteller, a creator of dreamlike and evocative illustrations. 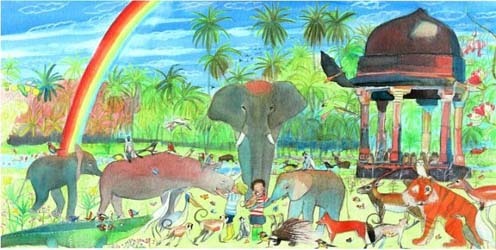 Her first children's book, Polly and the North Star won the BOOKTRUST Early Years Award 2004 for Best New Illustrator. 'Grandpa and the Stars' has just been selected for inclusion in 'Images 34', the source book of British Illustrators published yearly by the AOI (the Association of Illustrators), and will be exhibited in their 2010 travelling exhibition. Polly also takes great pleasure in being commissioned to illustrate portraits. She usually take the theme of a birthday party or other celebration, with your child (or children) surrounded by their favourite animals. These make affordable and entirely fantastic personalised presents and are much cherished. For further details please email Julian Thomas.